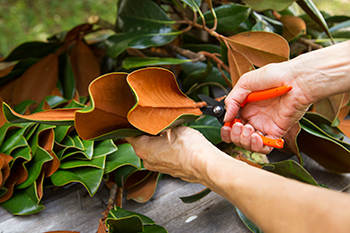 Our farm is dedicated toward growing the highest quality magnolia leaves for our handcrafted decorations. Our trees’ specific needs are met by our experienced horticulture staff. After providing our trees with the correct amount of nutrients and water, we wait patiently while the sun provides light and warmth. Our trees’ photosynthetic abilities then convert these elements into food for growth resulting in an exhibition of delicate fragrant blooms and stems with colorful, sturdy leaves- essential for our creative efforts. 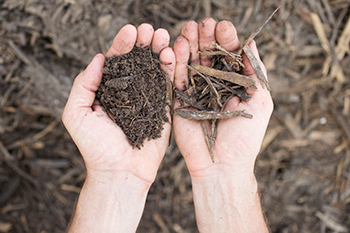 We harvest our trees’ bounty through a process of hand selection. After judging each stem’s aesthetic characteristics such as depth of color, size and shape of leaf, the stems are placed in a chain that designates where they will be used in our assembly process. Some leaves are perfectly suited for the creation of beautiful wreaths and others are better suited for use in other designs such as table centerpieces or garlands. Here our creative team of artists hand manipulate each stem~ leaf by leaf. 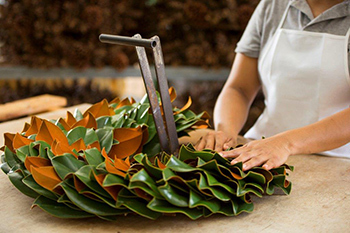 Every leaf is hand turned to a particular angle or direction that will maximize the aesthetic beauty of our designs. These diligent efforts yield a tasteful combination of colors ranging from deep green to bright copper. We go through tremendous detail to ensure that what leaves our farm arrives to you in its intended appearance. We take such care in our fabrication process, because we want our clients to gain many seasons of enjoyment out of our designs. Our products are beautiful, fresh and have an all natural, elegant appearance when dried. 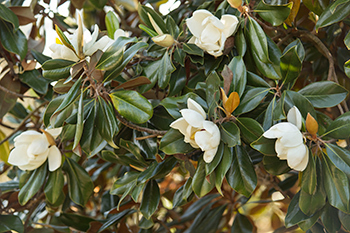 All of our magnolia decorations dry to a beautiful home accent piece once the holiday season has passed. In fact, we have timeless decorations on our office walls today that we produced five years ago. 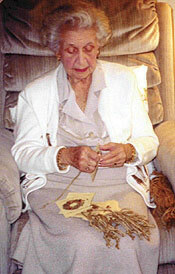 Ganny, pictured left, hand-tied our care cards for many, many years. 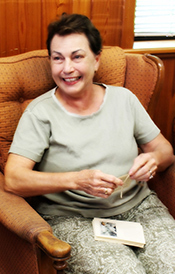 She is no longer with us, but Jean, pictured right, has taken over the role of preparing each tag.